Bosch has developed a voice assistant that can eliminate the need for many buttons in the cockpits of future vehicles. The technology will make it possible for the driver to control many functions using just the voice assistant so that there is little need to take the hands off the steering. Effectively, the voice assistant becomes a passenger in the car, according to Dr. Dirk Hoheisel, Member of the Board of Management of Robert Bosch. The voice assistant will have the capability to understand natural multilingual speech and does not need an external data connection for support. Voice assistants like Alexa from Amazon, Siri from apple and Google assistant have already become a part of tech savvy households where they are used to control functions like lighting, heating and even the vacuum cleaner. 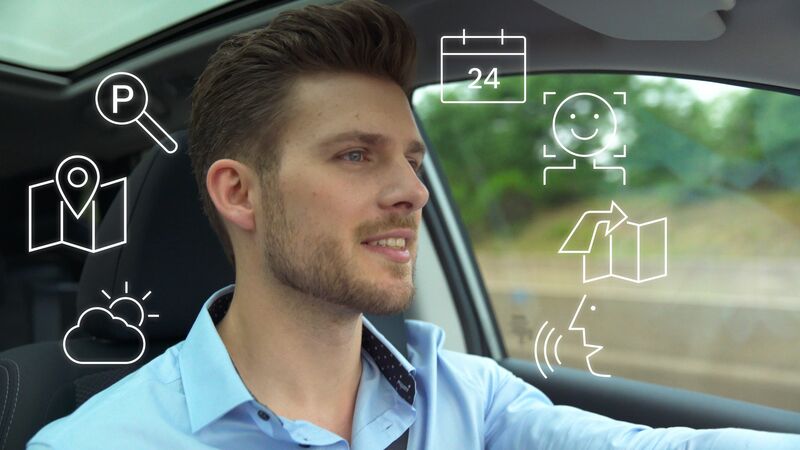 The voice assistant from Bosch is the logical next step when it comes to automobiles and leaves drivers free to concentrate on the important task of driving. Dr. Hoheisel said that the modern car generally has a confusing array of buttons, screens and menus. A study conducted by the Allianz Centre for Technology revealed that German car drivers are frequently distracted when they need to operate these controls for activities like adjusting the air conditioning, taking a phone call or operating the navigation system and it is this kind of distraction that can lead to accidents. The voice assistant will create order out of chaos and will go a long way towards making journeys safer and more comfortable. The assistant will respond to the name ‘Casey’ and even when offline responds to every word. Earlier variants of voice command functions did little by way of minimizing driver distraction as they were structured in such a way that the driver had to choose from a menu of possible options. The voice assistant from Bosch though, is like having another person in the car with you who will perform the tasks you want to be done. The voice recognition system has the capability to understand natural sentence structures and can even handle a wide range of accents and dialects and it can be easily used in as many as 30 countries. Bosch spent more than a decade refining the technology and Casey far outstrips the capabilities of even well-known competitors.